We are redesigning the site, come back soon to a new better recovery site! How To Recover From A Gambling Problem? Having a gambling problem has been identified by the American Psychiatric Association as a mental condition. This condition forces people to continuously gamble despite harmful consequences. A severe gambling addiction can be diagnosed as clinical pathological disorder that has the capacity to ruin the gambler’s life. People often compare gambling to quick sand, the longer this addiction plagues an individual, the further this addiction becomes a huge problem. What is really scary about this disorder is that, no matter how bad things get, the gambler will never realize is that they have a deadly addiction. Even if they somehow come to terms with the fact that they have an addiction, their cognition does not allow them to see how destructive and harmful this addiction is. But what these people have to realize is that this disorder cannot be tamed without help. Many neurological scientists have stated that a gambling addiction has the same characteristics of a substance addiction. The gambler has a constant urge to gamble and this urge has incredible control over their actions. This urge often forces them to put everything on the line and gamble. These poor individuals have no control over their actions and keep gambling their finances until they have nothing left! In essence, there are many different types of gambling addictions. Some gamble as they believe that this is their only solution to their financial issues. Even if provided with other lucrative options, their cognition will induce them to turn to gambling instead. Other addictions include the adrenaline rush one gets after gambling, this is probably the most deadly addiction, as the gambler no longer cares if they win or lose. All they care about is the exhilarating feel of putting everything on the line and for them this intense feeling is like an addictive drug. Without this drug, they feel incomplete. Some people even gamble to find relief from depression and anxiety. These people use gambling as an outlet to escape reality. Finally, the last type of gamblers are compulsive gamblers who have lost control over their addiction and look at gambling as a life source. This pathological gambling disorder can prove to be a death sentence as the individual’s cognition no longer allows them to fully accept the consequences of their actions. These poor people are forced to believe that gambling is actually beneficial for them, rather than being detrimental. The first and most prominent sign that you have a gambling addiction is if you have started perpetually lying under any circumstance. Gamblers by virtue have to lie and deceive in order to effectively win a game. This slowly gets instilled into their character and they start lying even when they don’t need to. Gamblers will not even realize how serious the issue has become until one day their inclination to lie, gets them in serious trouble. No one will be spared from their lying and they will have no control over this detrimental habit. The second most common sign of a gambling addiction is when the individual continuously gambles and justifies it by stating that they are chasing loses. These people have normally lost a lot of money gambling and are forced to believe that the only way they can recover these loses is through gambling. What they do not realize is that this belief of gambling being the only source to generate income is fueling their addiction. It is safe to say that a substantial percentage of people with this delusional belief end up being even in a worse state than before. They keep gambling to cover losses, but end up losing even more. Do you have a friend who is always at the casino and is constantly borrowing money from friends and family members? That friend of yours needs help. Gamblers by virtue at some point of time fine themselves in a financial hole, and they believe that the only way to get out of this predicament is gambling. These people start borrowing money from loved ones and use that money to fund their gambling addiction. The more they lose, the more they start borrowing money to recover their losses. They often max their credit cards and have numerous debts due to their financial situation and helping these individuals by giving them money further increases their problems. Another sign that your gambling has become an uncontrolled addiction is when you start raising the stakes. Pathological gamblers often start small but with time increase the stakes, as they are under a false impression that their gambling prowess has improved. Just like any other drug, these people increase their dose (by raising the stakes) to enjoy the feeling of gambling. With time, these people start raising the stakes to such an extent that if they lose, they will have nothing left in the end. Just like every other pathological illness, the addiction of gambling constantly plagues the gambler’s mind. All he or she thinks about is their gambling addiction and how to finance their endeavors. They are always articulating different strategies to improve their gambling skills and are devising new ways to fund this obsession. Every opportunity these people see is an opportunity to gamble. With time, all these people can only think about gambling and how they can improve their financial situation via gambling. The most prominent sign that you have a gambling addiction is when you realize that you can never stop gambling. Many people often try their level best to quit this addiction but to no avail. These people have to realize that they are dealing with a many headed hydra that cannot be defeated without help. If you are one of the lucky ones who have realized that they have an addiction problem and have tried quitting multiple times, then you sir are on the right track and should keep trying. Like any other addiction, if an individual cuts down on the dose or quits it completely they will have to deal with the withdrawal symptoms. These symptoms include severe depression, anxiety, agitation and a whole host of other psychological withdrawal symptoms. These people will then turn to gambling to battle with these symptoms, what they have to realize is that this is not the answer. Using the drug that caused the symptoms will have an adverse effect on the cognition of the gambler. They will start believing that gambling is the only way they can remain happy, which is probably the saddest belief one could have. Another prominent sign that indicates a gambling addiction is when people gamble to forget their troubles. These people gamble as they feel it provides them with a sense of purpose. These people are under the common delusion that gambling is the perfect way to deal with the hurdles life throws at them. What they do not realize is that gambling is not an escape route from their troubles, it is actually the freeway that leads to more and more problems. Every game they play gives them a sense of enjoyment, and they believe that this addiction is just a healthy habit to deal with their stress and troubles. When a person starts stealing or cheating people to fund their gambling, this is a serious sign that indicates that their addiction has taken control. These people forego their morals and ethics just to somehow finance their addiction as they are so deep into this illness that it has spiraled out of control. Many people with impeccable characters have turned towards stealing just so that they can have another swing at the casino. These poor people often don’t even realize the magnitude of their actions until it is too late. If you know anyone who has started stealing to keep their addiction afloat, please help them realize how they are hammering nails into their own coffins. Take a break: It is understood that this is easier said than done but you have to realize that your mental state is your biggest weapon against the perils of gambling. Set at an appropriate time period of at least a month and do not gamble during this period at any cost. It will be a difficult fight, but we have full faith that you will come out victorious. Tell yourself everyday that you do not need to gamble, that you do not need to ruin your life over such a trivial vice. With time, your control over this addiction will improve by a substantial margin. Find an alternative: During this grace period, we would recommend that every addict should try finding a different habit. Indulge in activities that you never even thought of before, go fishing, sky diving or anything that can take your mind off gambling. Many success stories of people who had sever gambling issues, involve them finding an alternative. Make sure the alternative you choose is something productive – do not turn towards other vices as this defies the purpose. Remind yourself about the consequences: The first step towards fighting any addiction is accepting the fact that you have a serious problem. Keep reminding yourself why you are trying to quit this addiction and how it has slowly started ruining your life. This constant reminder can be your greatest weapon in controlling your addiction. Accept your addiction and then slowly kill it. 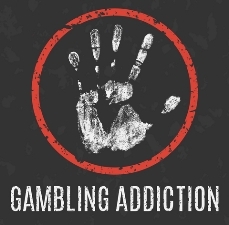 Educate yourself about this addiction: Many people do not even know that gambling is an illness that needs to be handled appropriately. We would recommend that you conduct as much research as possible about gambling and how to control the persistent urge of gambling. Once educated, you will have everything in your arsenal to battle this foe. There are many websites dedicated to helping people with this addiction, these websites have crucial information, which can help people realize how bad their addiction actually is. Manage your finances: Having money easily available is one of the most important ingredients that fuels this addiction. We would recommend that you let a loved one handle your finances while you are currently waging war against this addiction. Besides this, it is recommended that you create a financial budget and stick to it. Keeping finances into perspective can really help them understand the consequences of their actions. Join a focus group: This is probably the most effective way to control those urges. Focus groups are specifically designed so that people can share their problems with each other and work collectively to defeat this addiction. These groups often gather periodically and provide members with everything they need to quit this horrible addiction. It also enables people to speak about their addiction, as mentioned before this acceptance is the first step on the road to recovery. Speak to a counselor: There are many confidential counselors out there who specialize in helping people with this difficult addiction. These professionals have attained a degree of specialty in their line of work and people can benefit from their experience. Besides this, these counselors have devised different strategies to help people according to the circumstances of their addiction. These strategies have proven time and time again to be effective. Make a list of the consequences: As difficult as it might seem, sitting down and writing about all of the problems that an addiction has caused can help people by a substantial margin. With time, gamblers become indifferent towards the consequences of their actions. This feeling of indifference is the main reason behind their addiction. Compiling a list will help them realize the magnitude of their actions and how detrimental gambling really is. It will help them accept the dark side of gambling, which will aid them in recovering. Talk to your loved ones: Gamblers, with time, develop introvert characteristics. They often bottle up their emotions as they see gambling as their only friend. These people should realize that battling this addiction on your own can be very difficult or even impossible. So confide in your loved ones about your addiction and seek their help in recovering from this predicament. Keep fighting: Last but not least is the fact that the gambler should accept the fact that this is a constant war that will not subside in a short period of time. In order to fully overcome this addiction, you will have to keep fighting until one day you will realize that the urge to gamble your life away has finally diminished. Stay strong and never give up as your life is on the line. Although, these eight steps above have specifically been designed to help control the constant urges of gambling, in some cases, the addiction is so severe that these steps will not help completely overcome this addiction. In this case, the only alternative route people will have is seeking professional help about their addiction; do not shy away from seeking help due to the social stigma behind it. These professionals operate in complete confidentially and constantly strive to help the gambler control their urges. Many people have the common misconception that gambling is a lifestyle choice that every individual has complete control over. But this is the furthest thing from the truth. Gambling is a psychological illness that the host has no control over. People who gamble have the same characteristics of addicts, as no matter how their life deteriorates they still see gambling as the only thing worth living for. These people are completely oblivious to the fact their gambling addiction is slowly ruining their lives and even if they try quitting themselves, it might be impossible. In essence, a gambling addiction is just like any other substance addiction. It affects the cognition of the host in such a way that the host will experience a high from the stress and excitement that gambling entails. This addiction influences the host in such a way that they become indifferent to reality. They will slowly watch their life deteriorate and will not realize how bad things are getting. Pathological gambling is a term coined by the American Psychiatric Association. According to their findings, people with this unfortunate cognition illness have no control over their actions. No matter how bad things get for these people they still think that gambling is their only friend. They really believe that the only way to fix things is do more gambling. Gambling has been around for centuries and there is no certain way to adduce the exact date of its origin. However, a six sided dice was unearthed in Northern Iraq. According to archaeologists, this dice dates back to 3000 BC which means it is well over 5000 years old. Besides this, there is also substantial proof that ancient Chinese and ancient Egyptian civilizations indulged in gambling vices. Egyptian history is rife with stories of different gambling vices as many Egyptian tombs are loaded with gambling paraphernalia. According to history, the Egyptians believed that these games were played by their Gods. On the other hand of the spectrum, many other ancient civilization have spoken about this vice. The Romans frowned upon this activity considering it to be useless. While the Middle East also has traces of gambling vices as the Quran, which is the holy Islamic text, forbids any form of gambling. There is also substantial proof that indicates that the Germans were very fond of gambling and devised many different brutal gambling trades that have died over the years. The famous Roman historian Tacitus has stated in his documents about the different gambling games he came across during his travels through Rome, Germany and other historic countries. Gambling can even be traced back to early British times as the clergymen and Bishops were very fond of gambling. It was not until Henry the Third’s rule when they stopped indulging in such activities. With time, the Gambling industry has evolved into one of the most lucrative industries. According to studies, the current gambling industry is worth more than nineteen million pounds and about 33 million British citizens have gambled at some point of time. This is just the findings of Great Britain and it is safe to say that the amount of people indulging in this vice is increasing every single year. This list exonerates the fact that gambling is not limited to the casino as there are many different types that a gambler can consider. With time, every opportunity they see will be an opportunity to gamble. No matter how minute the winning might be, these people will always be ready to put everything on the line for the high. Accept your addiction: The first and most important step is to accept your addiction. This acceptance will help you understand the magnitude of this addiction and can help keep it under control. Without accepting addiction, it is impossible to quit gambling as you will always believe that there is nothing wrong with this vice. Avoid Gambling scenarios: The second step is to completely alienate yourself from situations that can pose to be a gambling opportunity. If these chances are reduced, so will the cravings. However, it is understood that in certain circumstances it can be incredibly difficult to avoid such situations. Avoid Casinos: Casinos are the hub of gambling, in order to truly quit this vice, you will have to stop going to the casino at any cost. These casinos are specifically designed to keep the gamblers hooked till the last moment, so if you are under the impression that a cameo appearance will not hurt, you are very wrong. Under no circumstances should you visit a casino or any other place where gambling takes place. Find alternatives: Sitting idle and trying to kill this habit is impossible. The only way to keep your mind off this dangerous vice is by finding other ways to keep yourself preoccupied. There are many different hobbies out there that might grab your attention. Try different hobbies and find the one that catches your attention the most. With time, this habit will develop as your main source of relaxation and will help kill this vice for good. Handle your finances accordingly: The next step is to devise an appropriate financial plan. It is recommended that gamblers should let their loved ones handle their finances during this difficult period. Having instant access to cash will increase cravings by a substantial margin, so make sure that all of your credit and debit cards are safely locked away. Make a list of consequences: As mentioned before, people who have this addiction refuse to believe the consequences of their actions as their cognition does not allow them to accept reality. Sitting down and making a list of all the consequences of your gabling habits will help you understand the magnitude of your actions. It will help you accept reality and will help you win this difficult battle. Educate yourself: The next step is to understand your addiction. Use the internet as there is substantial information available on the net about this addiction and its consequences. Just typing gambling issues in the Google search bar will provide relevant information on how this vice has the capacity to ruin the gambler’s life for good. Speak to a counselor: The social stigma behind this addiction forces the gambler to avoid seeking help with this addiction. It cannot be stressed how difficult it might be to control this vice without the help of a professional – these people understand this addiction from every aspect and provide effective solutions, so speaking to a counselor is the way to go . Join a support group: It is recommended to take part in different support groups. These groups give people the opportunity to share their experiences with one another. It greatly helps the individual understand their addiction and its diverse consequences. Rest assured most of these groups guarantee the confidentiality of each participant. Confide in loved ones: One last step you can take to help get rid of this addiction once and for all is by confiding in a loved one. Tell them about your addiction and how you are trying to control these cravings. Having a shoulder to lean on can really help battle the withdrawal symptoms as you will know that you are not alone. However, in certain circumstances these steps will not help people whose addictions have taken complete control over their cognition. In these cases, the only way to handle this vice is by seeking professional help, as without proper guidance it can be impossible to get rid of this addiction. This is exactly why it is imperative that after trying the steps highlighted above, everyone should seek help of a professional. Due to the increase in awareness about gambling addictions, there are many different facilities all around the world that have helped people get over this addiction. Gam-Anons Website: This is an assessment tool that will help any family or friend educate themselves about the intricacies of this addiction. The Brief Biosocial Gambling screen: This is basically a test which can help an individual determine if they can control this addiction without the help of a professional. It is a minor test that does not take a lot of time but provides an accurate depiction of the level of addiction. Diagnostic test: Another important tool that can help a person determine if their addiction has taken over their cognition. This test takes into perspective different characteristics of the individual and a whole host of other factors in determining the level of addiction. If it diagnoses a low level of addiction, this means that you can deal with this addiction on your own if preferred. However, if it diagnoses a high level of addiction, the only way out will be through professional help. For all of those people out there who are considering one of the best decisions of their life. We have, after careful research, articulated a list of the most profound rehab centers around the world including Sweden, Germany, UK and other countries. So if you think you have a gambling problem, it is time to take the appropriate steps mentioned above to stop this addiction once and for all. Rest assured, if these steps do not help then consider contacting a professional to help you with this intense battle.